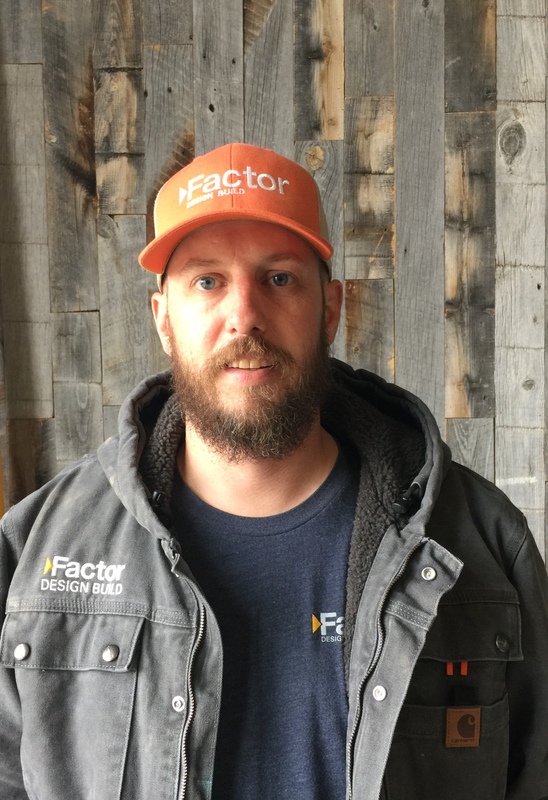 Aaron is a carpenter at Factor Design Build. Born in Iowa, his family moved to Colorado when he was 3. Aaron is an avid outdoorsman who loves to camp, hunt and fish. He is also an artist and loves coming up with new techniques and mediums to work with, from painting to carving and engraving. Aaron takes pride in his work and strives for perfection in every task he takes on. Although Aaron is relatively new to the construction field, he grew up working with his father doing residential and commercial remodels. Aaron also has a long background in customer service which has helped him communicate and understand exactly what needs to be done with every job.